This is first month in the Islamic calendar. As the name ‘haram’ suggests, it’s a sacred month of Muharram among others i.e. Rajab, Zil-qadh, and Zilhaj. The virtues of this sacred month have not only been celebrated by the Muslims, but also the followers of other major religions like the Judaism and Christianity. The pagans, Jews, and Christians had respect for this month and would not wage wars and raised conflicts in this month. 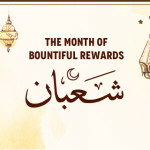 In this holy month, there is a day that exceeds in excellence with respect to virtues and historical significance. The history of Muharram at 10th day, also known as Ashura is one of the most important days in the history of mankind and has been celebrated with much religious devotion by the Jews, Christians, and Muslims alike. – The history of this sacred day dates back to the Adam PBUH path, whose repentance was accepted by Allah Almighty on this great day. It is reported that Adam met Eve also on the same day in the land of Makkah. 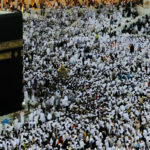 – It is the day of salvage of Prophet Noah PBUH and his people, as the ark of Noah reached its destination on this day. – It was this great day when Prophet Job was cured of his illness, after years of distress and misery that was brought to him by leprosy. – On the day of Ashura, the Prophet Joseph after years-long separation and sorrow met his father prophet Jacob again. – On this prodigious day, Prophet Jonah was forgiven by Allah and was taken out of the fish’s stomach. – And it was the same day when Allah gave Prophet Moses PBUH victory over pharaoh and saved the people of Israel from his tyrant rule. – The only unfortunate event carrying a religious significance that happened on this day was the martyrdom of Hussain RZ, the beloved grandson of Prophet Muhammad ﷺ. Before the time of Holy Prophet PBUH, the Jews used to fast on the 10th of Muharram because of the association of this day to Moses PBUH who brought victory to Bani Israel over Pharaoh on this day. So, Prophet Moses used to fast on this day. When Prophet Muhammad ﷺ came to Medina, and got to know about the Jews fasting on this day; he ordered Muslims to fast as well. The Prophet Muhammad ﷺ said that the Muslims more rightfully relate to Prophet Moses, so they are more rightful to follow the legacy. When the prophet Muhammad saw exalted this day the companions showed worry as the same day was honoured by Jews and Christians. And in Islam, it’s forbidden to follow religious practices of other faiths. So, the Sunnah of Prophet PBUH to fast on 9th of Muharram as well to differentiate Muslims from the Jewish practice of fasting. – Allah ﷺ said: “The one who fasts in the month of Muharram will obtain the reward of thirty fasts for each fast (in this sacred month).” Also, the greatest reward of fasting after the month of Ramadan is with fasting during Muharram. – It is stated in the book of Hadith (Sahih Muslim) that fasting on the Day of Ashura expiates the sins for the past one year. – On this day, giving out charity for the sake of Allah increases the provision for a year. One should be thankful to Allah for the blessings of Muharram and should avail the opportunity to grab the mighty reward associated with little effort in this month.